What is the Best Credit Card for You? What is an Index Fund? Are your retirement savings on track? It can be hard to know exactly how much you should have tucked away and by what age. And how do you stack up compared to others? Taking a look at the average 401(k) balance by age can be a good way to see how you’re doing. An employer-sponsored retirement account like a 401(k) is a great option for investing money pre-tax – especially if there’s an employer match. Make sure you’re taking full advantage. What’s the Average 401(k) Balance by Age? Overall, Americans’ average 401(k) balance as of the second quarter of 2017 is $97,700. How Much Should I Contribute to My 401(k)? There are a couple rules of thumb to consider when determining exactly how much you should be stashing away. Whether or not your employer matches, how long you’ve been at your job and how much you’re making all factor into how much it’s possible for you to put aside. Fidelity recommends that you should’ve saved roughly half your annual salary for retirement by the time you’re 30, but other experts say you should aim to have your full annual salary saved by that age. If you go by Fidelity’s benchmark and you earn $40,000 a year, aim to have about $20,000 saved away for retirement by 30. 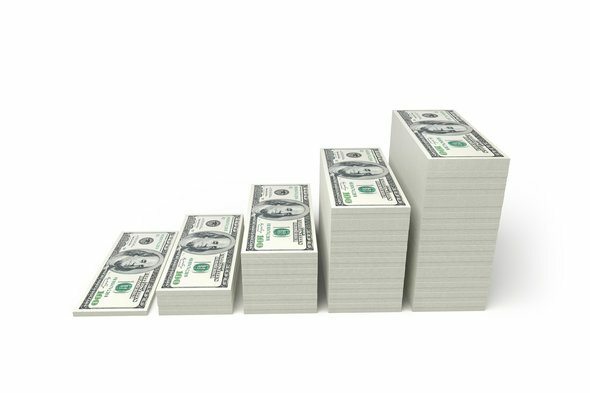 By the time you’re 40, you should have double your annual salary. By age 50, you should have four times. By age 60, you should have six times. And by age 70, you should have eight times your annual salary saved. How Much Money Do I Need to Comfortably Retire? 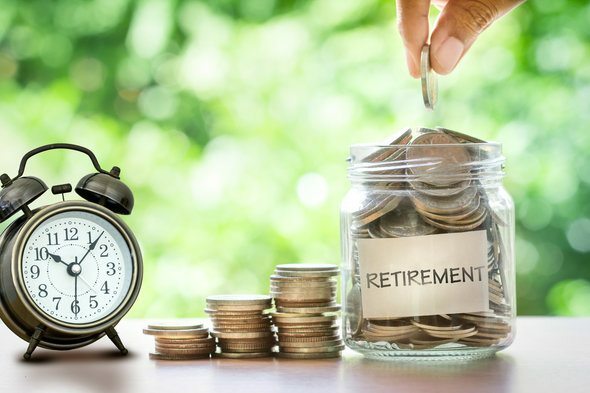 This depends on a number of factors, including what age you plan to retire, where you’ll retire, the retirement lifestyle you envision for yourself, your current income and whether or not you have a pension. Obviously it’s impossible to predict how long you’ll live – i.e., how many years your retirement money will need to be stretched over – but that also has a bearing. A retired couples’ medical costs average about $200,000. What If I Have a Below-Average 401(k) Balance for My Age? If you’re 401(k) savings don’t quite match up with the figures we’ve mentioned, don’t panic. It’s never too late to start saving. While the ideal situation is obviously to have started saving early enough that compound interest can do the work for you, there are ways to get back on track. The most obvious is to start tucking away as much as possible. The maximum you can contribute to your 401(k) on an annual basis is $18,000. Participants age 50 and older playing catch up can contribute an additional $6,000. Though it may seem daunting to start saving at a notably higher rate, there are likely areas where you can cut back. One big thing to look at is whether you can downsize your living space. Also make sure you don’t have any lingering debts weighing you down. Another option is to push back your retirement age. This allows you to make up – at least somewhat – for the years you weren’t accruing compound interest. As an added bonus, for each year you delay retirement, your Social Security benefits increase. Social Security benefits can’t take the place of retirement savings, but they can help you cover retirement expenses. There’s also always the option of picking up some work in retirement – also known as a worktirement. It’s becoming more and more common for retirees to pick up some work post-retirement to supplement their savings. And if it’s any comfort, you’re not alone in being behind: Nearly 40 million American households have no retirement savings. What Are My Options Besides a 401(k)? A 401(k), a 403(b) and a 457(b), are the employer-sponsored retirement plans. These options are particularly lucrative if the employer offers a match. All of the plans operate similarly, but a 403(b) is typically for public employees and a 457(b) is for some government employees. But they’re not the only options for retirement savings. You might also consider an IRA: either the traditional IRA or the Roth IRA. Contributions to the traditional IRA, like the 401(k), are tax-deferred. That means you put the untaxed money in now, and pay your taxes later. The Roth IRA, on the other hand, gets taxpaying out of the way up front. The money that goes into a Roth IRA is has already been taxed, so when you get the money out you won’t pay any more. However, to qualify for a Roth IRA you have to make an adjusted gross income less than $116,000. For couples filing jointly, it must be less than $183,000. The biggest differences between an IRA and a 401(k) are the contribution limits and how you contribute. Contribution limits to a 401(k) are generally much higher than to an IRA. While a 401(k) is offered by an employer, you can easily go online and open an IRA for yourself. Your 401(k) contribution automatically comes out of your paycheck, but you’ll have to move the money yourself into an IRA. Notably, only a 401(k) comes with employer matches. You can always put money in both, too. 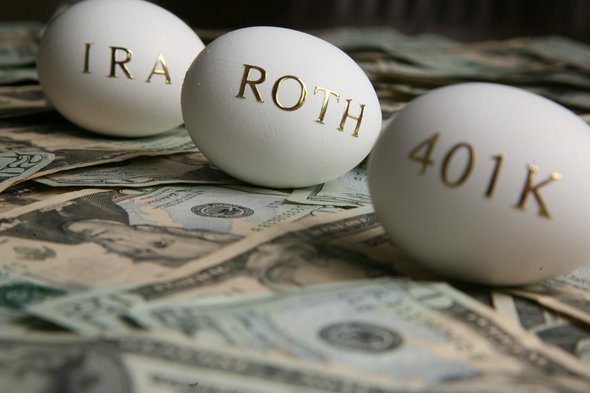 A Roth IRA, for instance, might be a nice complement to your 401(k). Whichever retirement savings option you chose, make sure you’re always managing your money with an eye toward retirement. It’s not impossible to catch up if you fall behind, but it’s far easier to accumulate your retirement savings steadily and slowly over time. Working with a financial advisor can help you stay on track. According to industry experts, people who work with a financial advisor are twice as likely to be on track to meet their retirement goals. A matching tool like SmartAsset’s can help you find a person to work with to meet your needs. First you answer a series of questions about your situation and your goals. Then the program narrows down thousands of advisors to three fiduciaries who meet your needs. You can then read their profiles to learn more about them, interview them on the phone or in person and choose who to work with in the future. This allows you to find a good fit while doing much of the hard work for you. Figure out how much you’ll actually need to save to retire comfortably. SmartAsset’s retirement calculator can help you figure out exactly how much money you’ll need to have stashed away to support yourself in retirement. Take advantage of your company’s 401(k) match. This might seem like a no-brainer, but many Americans aren’t taking full advantage of their employer’s match. About one in four Americans miss out on an estimated $1,336 a year because they aren’t contributing enough to get the full employer match. Becca Stanek, CEPF® Becca Stanek is a graduate of DePauw University. Becca is an experienced writer/editor who serves as a retirement expert for SmartAsset. She's passionate about helping people understand the sometimes daunting ins and outs of personal finance. Becca is a Certified Educator in Personal Finance® (CEPF®) and a member of the Society for Advancing Business Editing and Writing. Her work has also appeared at Time, The Week, Mic and The Washington Monthly. Becca grew up in the Midwest and now lives in New York City. Have a question? Ask our Retirement expert. Jim Barnash is a Certified Financial Planner with more than four decades of experience. Jim has run his own advisory firm and taught courses on financial planning at DePaul University and William Rainey Harper Community College. An error occurred Please reload the page.